Rough and rugged. Built for a man. 6 speed transmission. Shift very smoothly. Very little engine noise while driving either on highway or sideway streets. 270 HP for the V6, very nice. 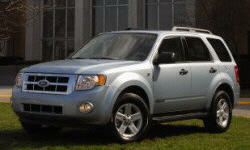 Why Not the 2009 Ford Escape? A bit jerking into gear on first gear already as new. Not sure how long the transmission can last. 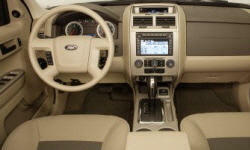 Ford Explorer was one of the MOST complainted cars in history. Not sure how well the Escape will stand up.